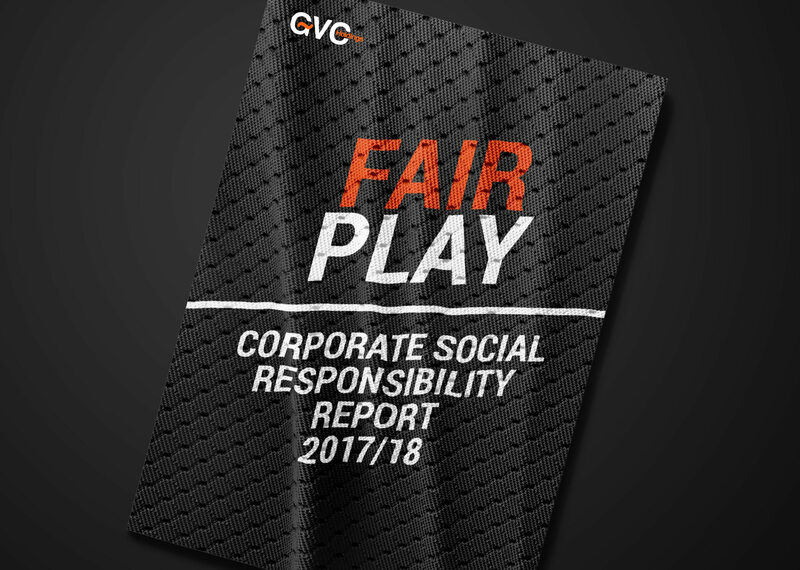 Operating in 22 countries, GVC is one of the world’s largest sports betting and gaming groups, operating some of the industry’s most popular online brands including bwin, Sportingbet, partypoker, partycasino and Foxy Bingo. 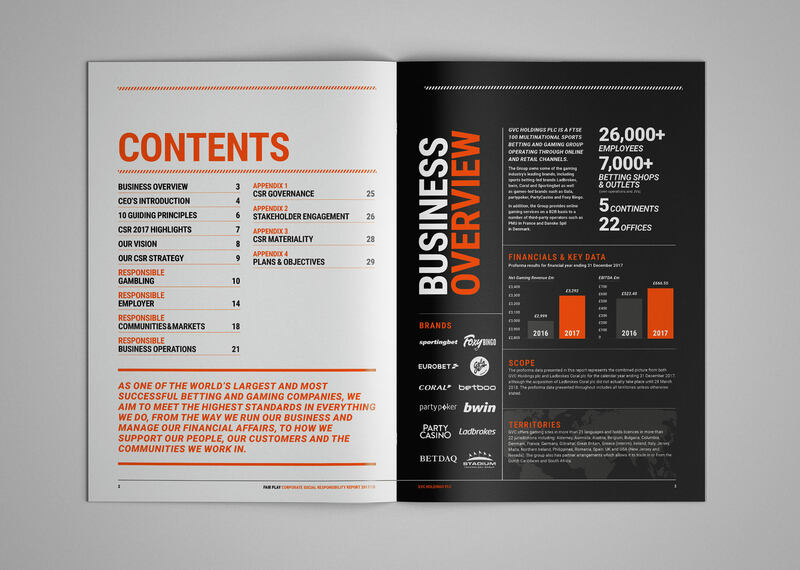 In 2018 they acquired Ladbrokes Coral Group PLC to become the UK’s largest high street bookmaker, adding iconic retail and online gaming brands, Ladbrokes, Coral and Gala to their portfolio. 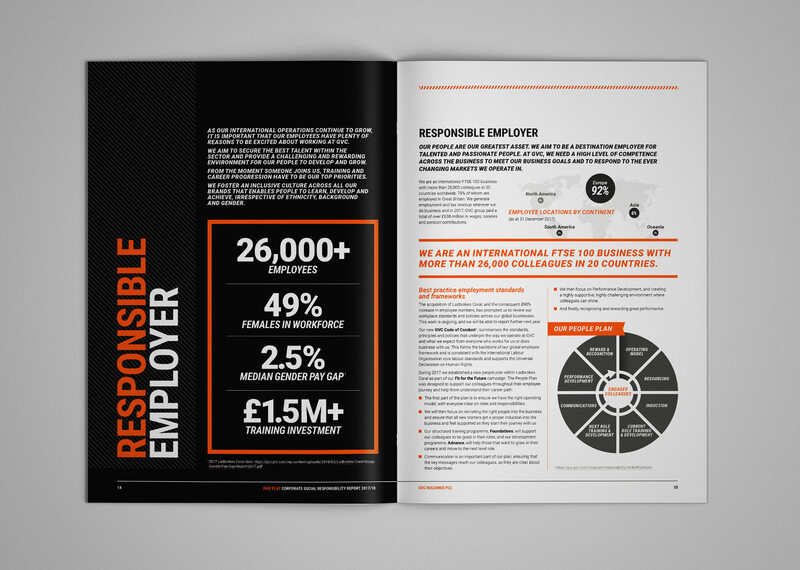 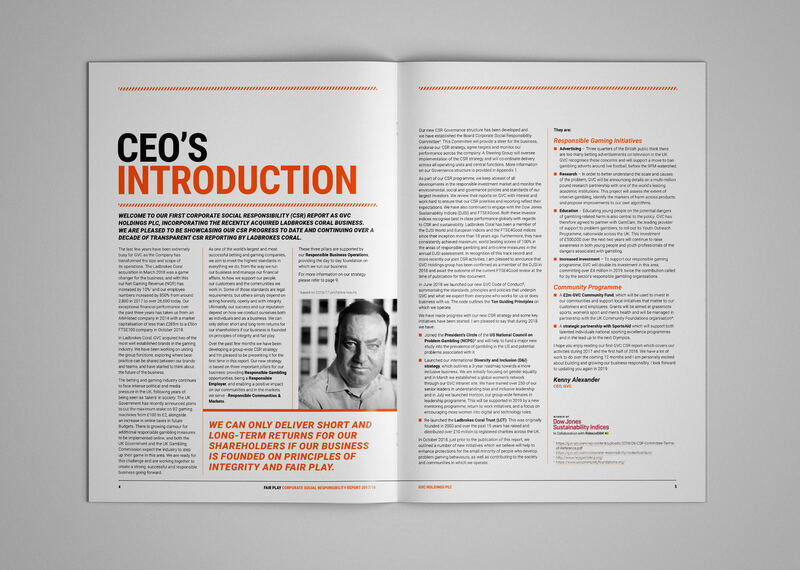 The groups first CSR report – produced in partnership with carnstone – was designed to deliver the groups progress and commitment to CSR using strong typography, punchy and bold graphics without use of gaming imagery and adhering to brand guidelines.